WELCOME To the Anderson Valley Pinot Festival at Camp Navarro. Below is information about staying at Camp Navarro as well as our weekend brunch service for onsite guests and festive Saturday Night Dinner and Concert after the Grand Tasting which is open to all and sure to be memorable! 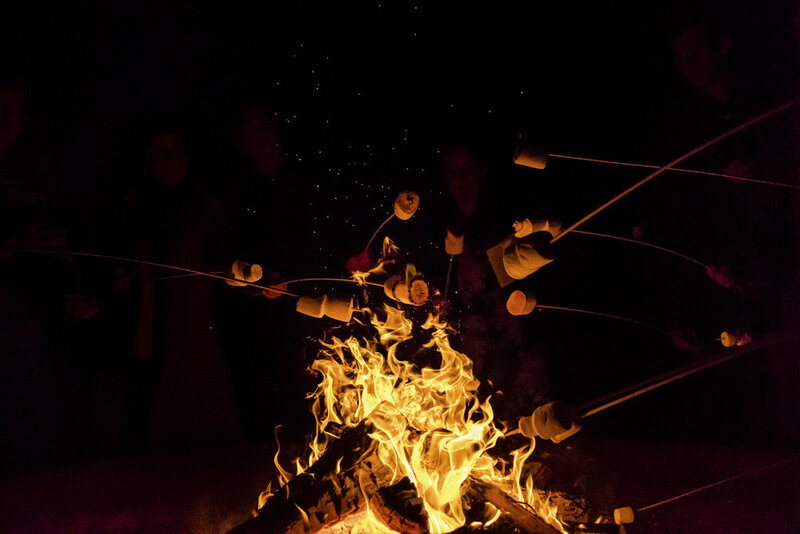 For those seeking an idyllic and casual stress free experience, we provide a variety of accommodations for lodging, camping and RV use. 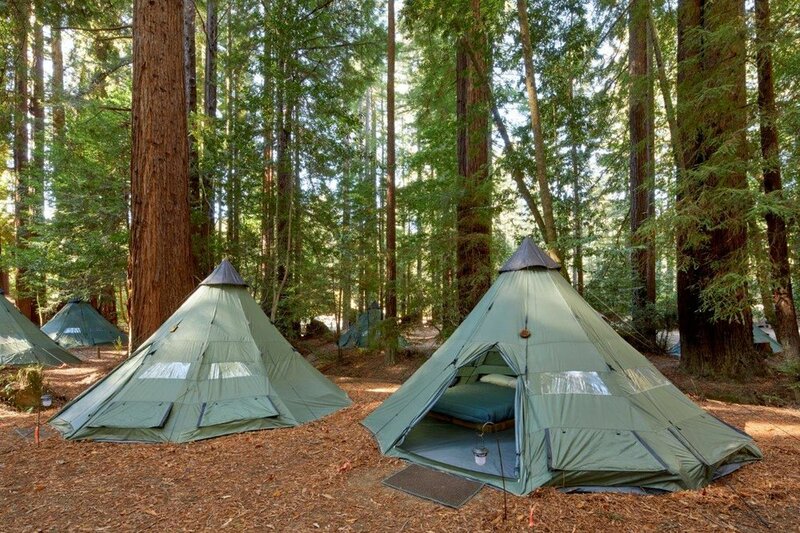 Choose from cozy cabins with down bedding, 'Glamping' Teepees and Adirondacks (BYO bedding) , or bring your own tent or RV and camp among the towering Redwoods. Pricing is for a two or three night stay. A three night stay is Thursday to Sunday, a two night stay is Friday to Sunday. There is no one night option and there are NO REFUNDS or changes allowed on your reservation once made as we are not a hotel so if considering extending your stay an extra night, please book for three nights. For onsite guests, we will be serving a Brunch Buffet on Saturday and Sunday. PLEASE SCROLL DOWN THE PAGE TO REGISTER TO STAY AT CAMP NAVARRO. No Campfires (there is a large central campfire for all to bask in). No Pets. We have Wifi. Check-in is after 1pm on Thursday or Friday and check-out is by 11am Sunday. Before the event, we will send out an email with arrival information, FAQ, etc…There are no check-ins allowed Saturday morning of the Grand Tasting so plan accordingly. Accommodations do not have have individual bathrooms. There are bathroom facilities with indoor and beautiful outdoor showers around the property. Cabins typically accommodate 2-5 guests with a few cabins handling larger groups up to 6. Please carefully read descriptions and note on your registration number of guests. 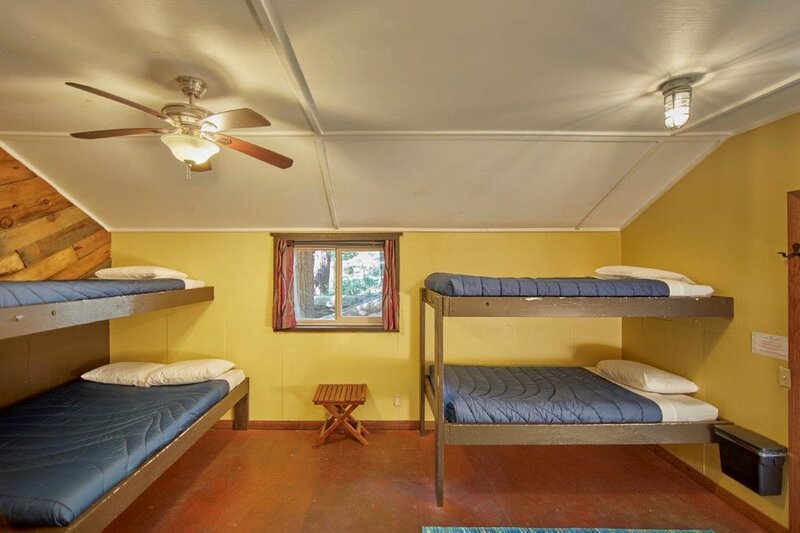 Most Cabins have one double or queen bed with most beds in each unit being twins. Cabins include down bedding. All other units, BYO bedding. Towel, Toiletries, flashlight, portable chair, comfy shoes, warm layers, bedding if needed for your accommodation. There are 25 Cabins available that will sleep 2-5 people comfortably, with a majority of cabins having capacity of 4-5 beds in a mix of doubles, queens, and twin bunk beds. All cabins have tempurpedic foam mattresses, down bedding, and heaters. 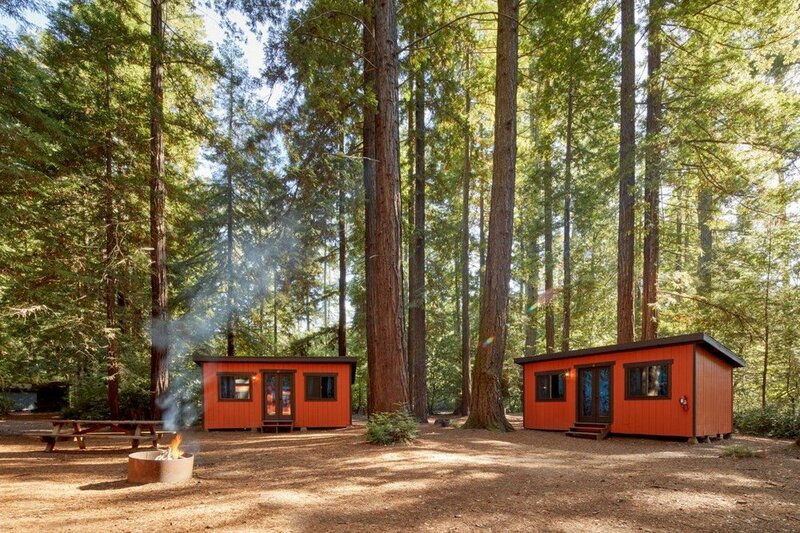 Cabins are situated throughout the property among the redwoods and provide a simple, idyllic setting. The majority of cabins have 4-5 beds though a few cabins have 6+ beds and three cabins have 2 or 3 beds. Individuals combining to share a cabin should NOT plan to sleep more than 6 people in a cabin. Any family larger than 5 individuals should note this with Camp Navarro for planning purposes. Bring a portable chair for relaxing on your deck. Adirondacks are cool three sided structures equipped with one queen bed and three twins. Mattresses are included. The front has a canvas 'drape' that you can open and close as needed. There are no heaters. These are newly refurbished as of 2018 and offer a memorable and comfortable nature experience. There are 12 Adirondacks available in groupings of 2-5 around the site (see map). Bedding is not provided. 20 teepees have 1 queen bed and up to 2 additional single foam mattresses on the floor. There are no heaters. Bedding is not provided in any teepee and teepees will be assigned on a first come, first served basis. Teepees are located in our lower cabin area next to our main bathroom and close to the Grand Tasting plaza. Camp Navarro has a basic 'RV zone' that can fit up to 10 RV or Vanagon type vehicles. Electrical hookups (20 amps only) are available on a first come first served basis. All sites are open in a redwood grove. We are NOT an RV Park! There are no other hookups, septic, or other facilities. The main bathroom/shower house is about fifty yards away and the Grand Tasting plaza is about 100 yards away. No RV over 30 feet. 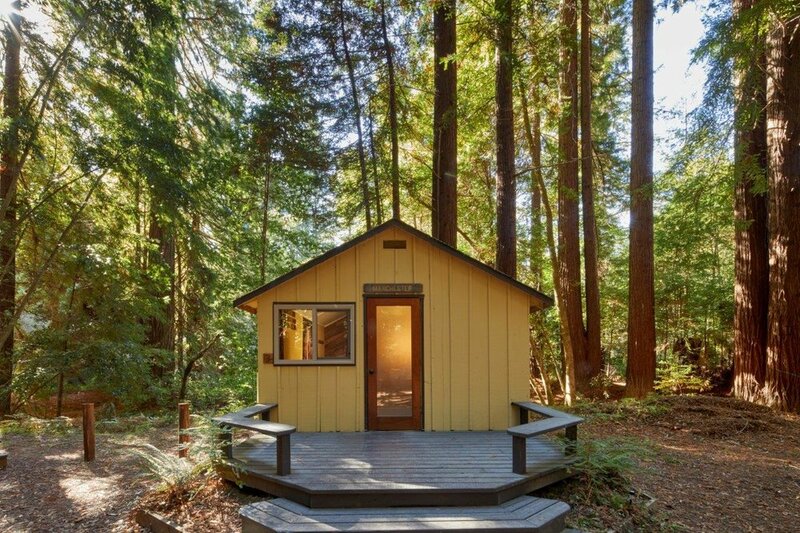 Bring your own tent and set-up in one of our cabin villages or open redwood groves around the property. There are no designated 'tent sites', just acres of open space to call home for the weekend. Bathrooms, water and showers are found around the property as well as picnic tables. Price is per party/tent.